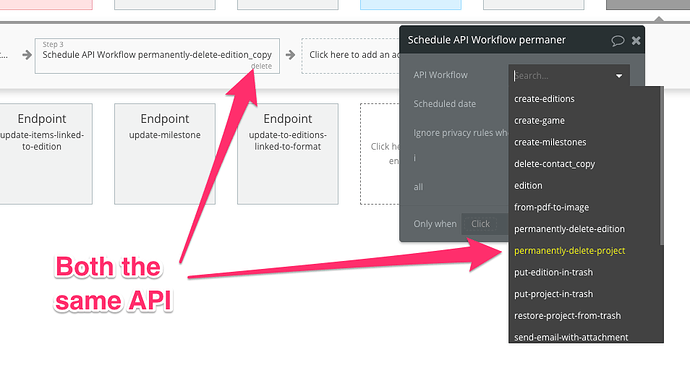 I copied an API workflow and changed the name from ‘permanently-delete-edition_copy’ to ‘permanently-delete-project’. 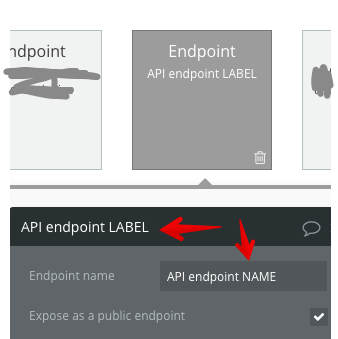 When referring to the API in the editor, it displayed the old name. Hmm, I’ll keep an eye out for that since I’m prone to using copy-paste in the API workflows tab. Was it still displaying as such after you refreshed the editor? 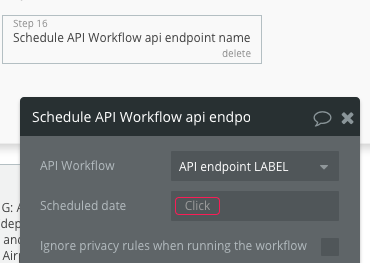 In the workflow where you schedule the API workflow, Bubble uses the label in the workflow list, but the name in the action description.